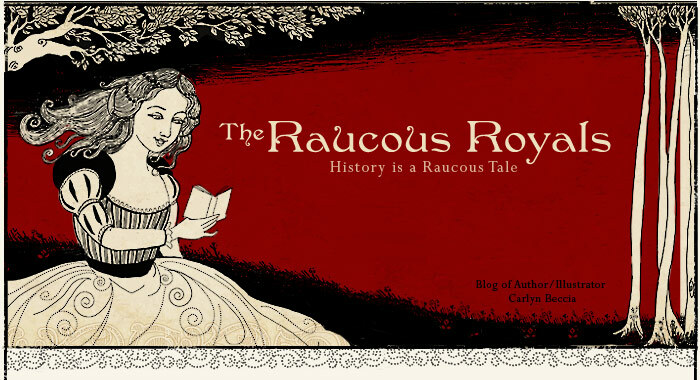 The Raucous Royals: Who is the Old Duchesse? 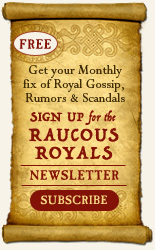 Who is the Old Duchesse? 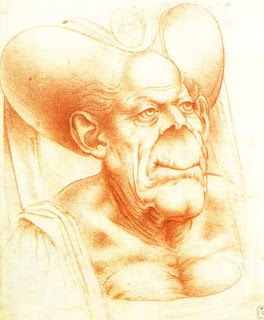 People have often wondered who is portrayed in Leonardo's sketch, The Old Duchesse (shown below). 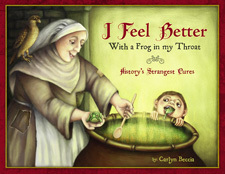 Some art historians believe the woman might have suffered from Paget's disease. Others believe that the drawing is meant to satirize a woman beyond the prime of her youth. Another theory is that she is a real person - a portrait of the Duchess Margarete of Tyrol-Görz, who was known as Maultasch, ("bag mouth"), which means "whore" or "ugly woman". (because of her marital scandals). 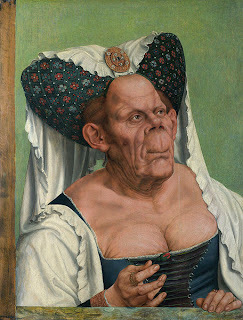 Quentin Matsys painted The Grotesque Woman based on Leonardo's sketch. 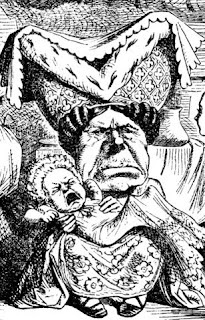 And that served as a basis for John Tenniel's depiction of the Duchesse in Alice's Adventures in Wonderland.